Go For The Gold When You Trade In Your Old Ride! Getting the most for your old car is important. It can impact the deal significantly and that's why most dealers are very sneaky and cheap when it comes to appraising and valuing your trade. 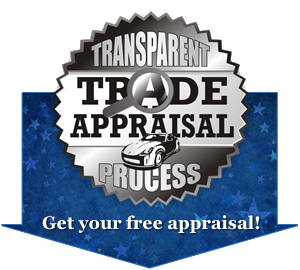 I don't like that, so I created my "Transparent Trade Appraisal Process". You'll be involved in your trade appraisal and we'll be completely open about the process. Together we'll come up with what's fair and make sure you get what your car is really worth. Welcome to Academy Cars located in Lawrence Kansas just 30 minutes from Topeka. Here at Academy Cars in Lawrence we have a wide variety of used cars, used sedans, used trucks, used SUVs, used vans and used family crossovers for you to browse. Academy Cars is located in Lawrence KS, however we also cater to: Gardner KS, Olathe KS, Topeka KS, Ottawa KS, Lansing KS, Lenexa KS, Shawnee KS, Leavenworth KS, Merriam KS, Overland Park KS, Mission KS, Prairie Village KS, Leawood KS, Kansas City KS, Kansas City MO and all of Douglas County At academy Cars in Lawrence, we have the ability to get you approved for a used car loan regardless of your past credit history. Academy Cars in Lawrence knows that bad things happen to good people, and we can help get you approved for your used car loan today. Academy Cars offers dealer assisted financing, as well as we work with local credit unions, national lenders, federal credit unions and regional credit unions. With a wide variety of financing options available, Academy Cars in Lawrence can get you approval for auto financing on your next used car, used truck, used van, used SUV or sedan, and driving on the road today. Academy Cars is a used car dealer for the people. We believe that you are more than your credit score, and would love to show you how much we care by getting you approved for your next used car loan. Please browse through our wide variety of quality used cars, used trucks, used SUVs, used sedans and see the Academy Cars difference. Please feel free to give us a call today at (785) 841-0102 or come see us at our dealership located at: 1527 W. 6th St. Lawrence KS 66044. Academy Cars | Guaranteed Car Credit Approval Lawrence KS has been visited 6,182,479 times.